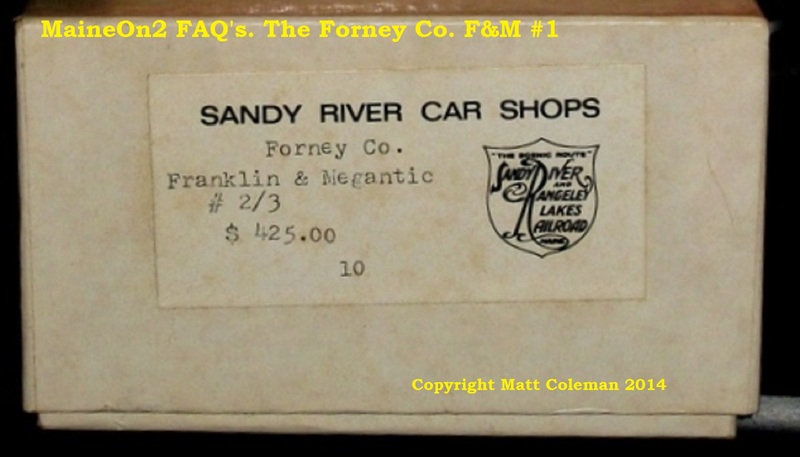 Category Archives: The Forney Co. 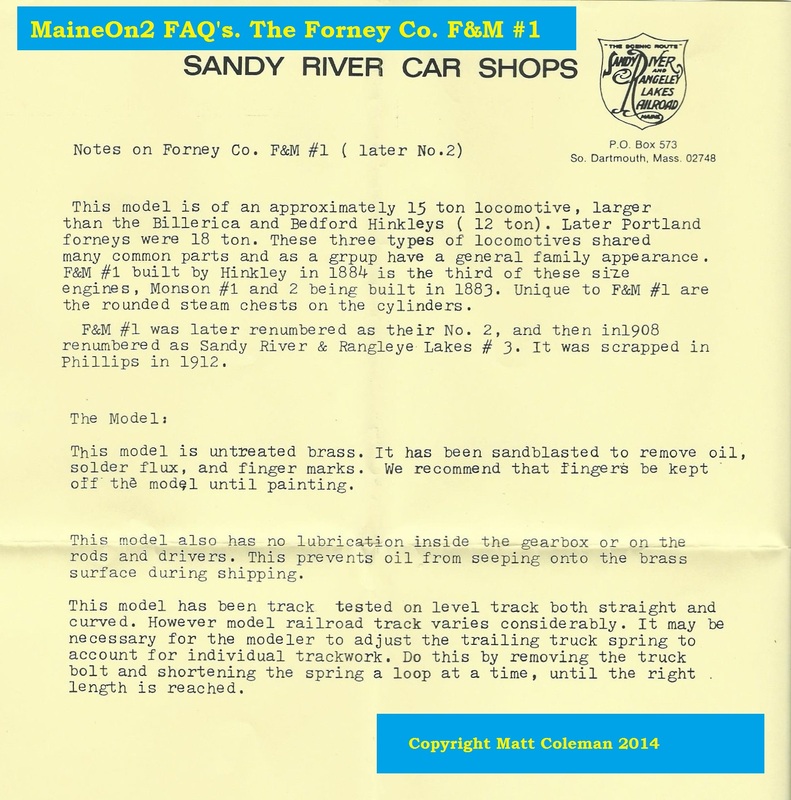 This information sheet supplied with the model makes it clear that the model is based on the F&M #1 despite the box being labelled as F&M #2/#3. The nicely finished model shown below was offered for sale some time back. 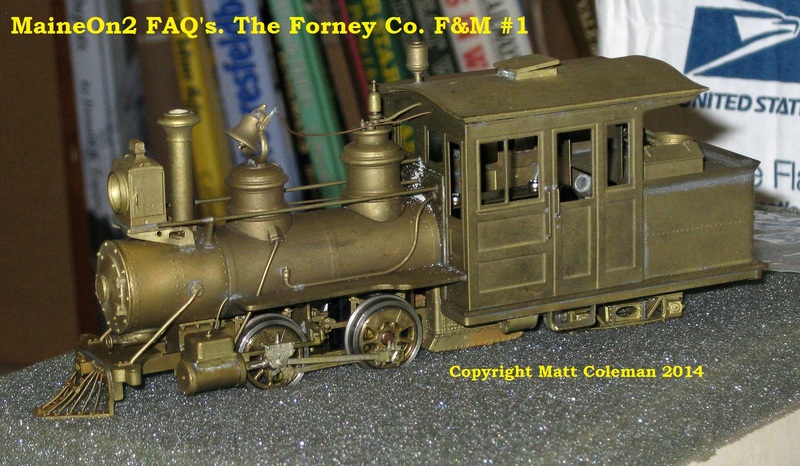 In this case, the box correctly describes the model as F&M #1/#2, but the spelling of Forney is incorrect. 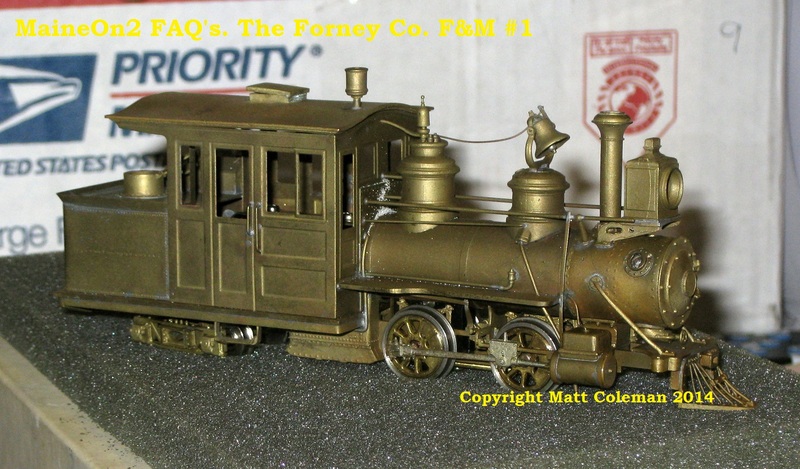 This view inside the cab with the roof removed shows the unique drive arrangement for The Forney Company models, where the can motor is tied to the top of the gearbox by a fairly substantial brass strap with two screws, and it is just possible to see the flywheel at the front of the motor. Interested viewers should compare this view to that of the related Portland Products F&M #1 which has different drive arrangements. Click here to view. Sandy River & Rangeley Lakes #2 (1908 – 1912). For more information about the prototype locomotive, click here.